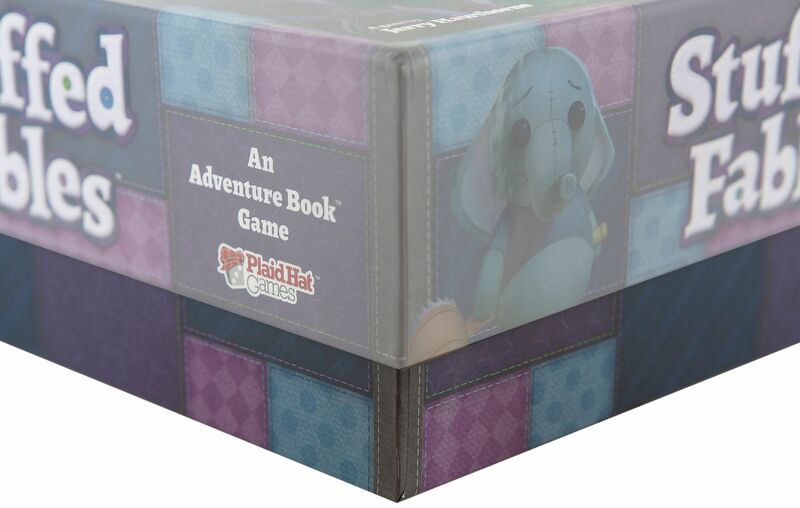 This Adventure Book Game let's you slip into the role of brave stuffies and fulfill your life's mission: protecting the little girl from the Lord of Nightmares. 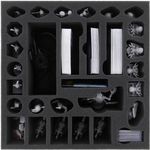 Our mission is to protect your miniatures and to keep your box organized. Now, here's the foam tray set which can do that. It fits perfectly into the original 'Stuffed Fables' board game box. The lid of the game box protrudes approx. 3-4 cm. 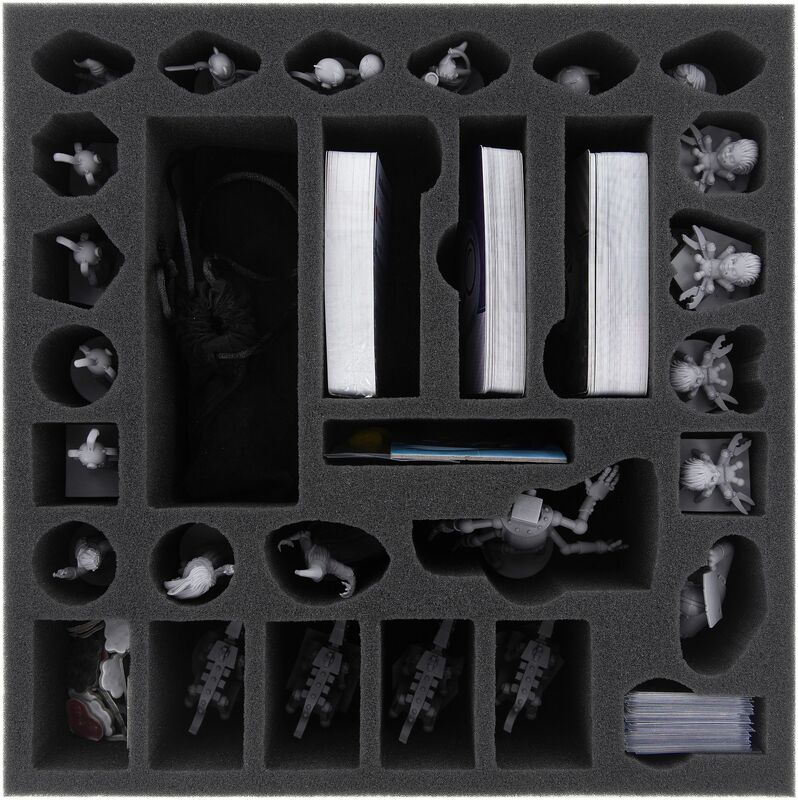 The foam insert's 31 compartments are tailored to fit each of the 6 Stuffy Figures and the 17 Minion Figures. Even the scissors of the Crawlys don't stick out, at least not in this box. This offers, besides better manageability, optimal protection for painted miniatures against abrasion and prevents annoying chipping of the colors. Of course we do only use colour-friendly chlorine- and acid-free foam. 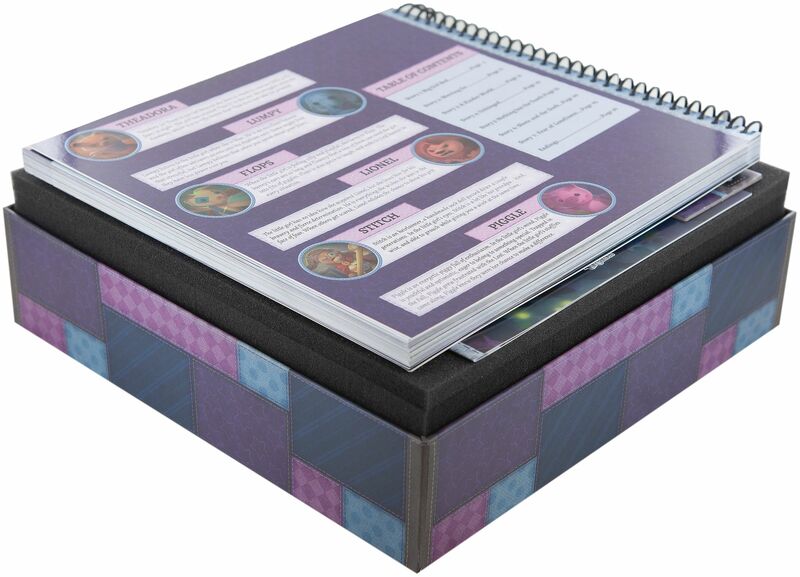 The other eight additional compartments provides clearly and orderly arranged storage for the other components of the game. No more confusion with dices, buttons and tokens. They are always at hand. For each card type there is a suitable compartment in which they can be stored sleeved and separately. Storybook, sideboard and character cards are placed on the foam topper. 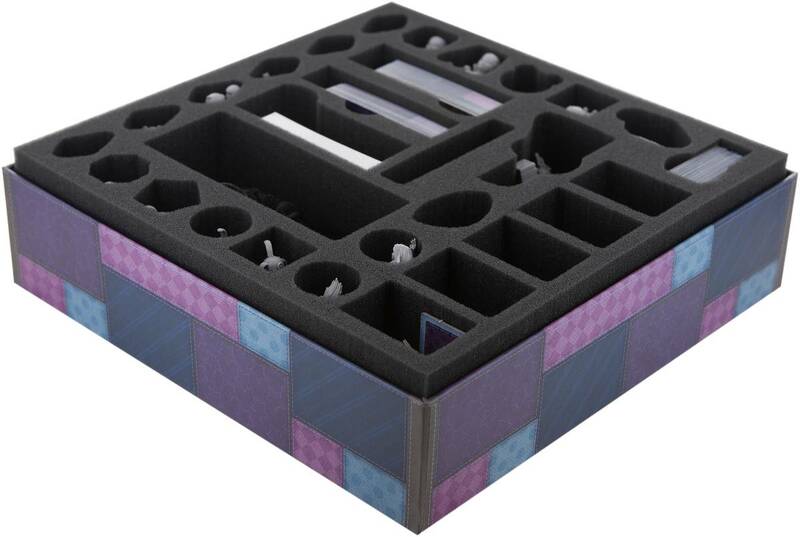 The foam tray has the dimensions: 280 mm x 280 mm x 80 mm total height (70 mm usable height + 10 mm foam base).